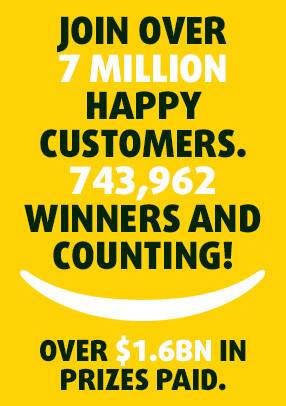 Win up to $1 Million! Win up to $ 50,000! Win up to $ 200,000! Win $1,500 daily for a year! EU Lotto Limited, of Suite A, Ocean Village Promenade, Ocean Village, Gibraltar GX11 1AA, is licensed by the Government of Gibraltar and regulated by the Gibraltar Gambling Commissioner under the Gibraltar Gambling Act 2005 (Licences: RGL 085 & 066). This is a real money gambling app/site. Please gamble responsibly and only bet what you can afford.